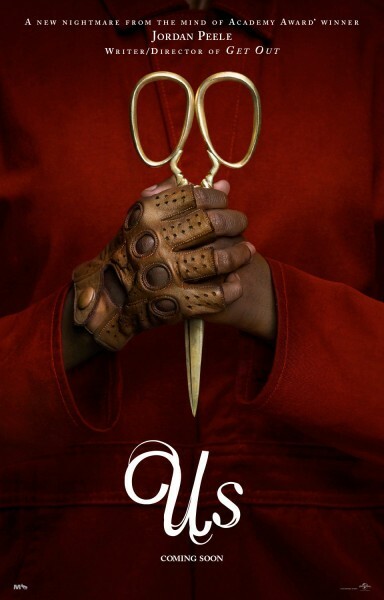 Just a couple weeks ago, the long-awaited horror movie, Us, directed by Jordan Peele, hit theaters. With its eerie and gripping trailer, the movie stirred much anticipation for scary-movie fanatics. Luckily for us, the movie lived up to its expectations- and far surpassed them. Us begins in 1986, when a little girl and her family are on the Santa Cruz boardwalk at night. The girl, who wanders off from her parents, finds herself in a creepy funhouse, where she is horrified to meet her doppelgänger staring right at her. The movie shifts to present day, where that same little girl (Adelaide) is now grown up and has a husband and two children. Despite her past experience in Santa Cruz, her family is on the way to vacation there. It is here where the family is confronted by their “Shadows-” people who look just like them, but are stuck in an underground world. They seek vengeance on Adelaide’s family for living the life that they always desired. However, what makes the movie so riveting is not just the jump scares or the creepiness of the Shadow family. First and foremost, Peele does an excellent job of establishing his characters’ personalities, unlike in some horror movies where the characters are simply pawns in a corny plot. The audience is immediately sympathetic towards the Wilson family members, who are hilariously relatable in their interactions with each other. Peele’s incorporation of humor also lightens the mood in the midst of the tension, a refreshing change from most other horror movies. Without including any spoilers, I can guarantee that you will leave the movie feeling disturbed, shocked, and slightly confused. The ending is completely unexpected and certainly provokes deep thought, which makes the movie incredibly interesting to watch. I absolutely recommend this movie, even for those who would not necessarily consider themselves horror-movie fans. Though there were certain parts that could provoke feelings of uneasiness, Us is well-thought out and goes so far beyond what a typical horror movie is.